Other than skin cancer, breast cancer is the most common cancer among women. This month, October is Breast Cancer Awareness month. I am imploring us all (irrespective of gender) to promote healthy living and breast cancer awareness. 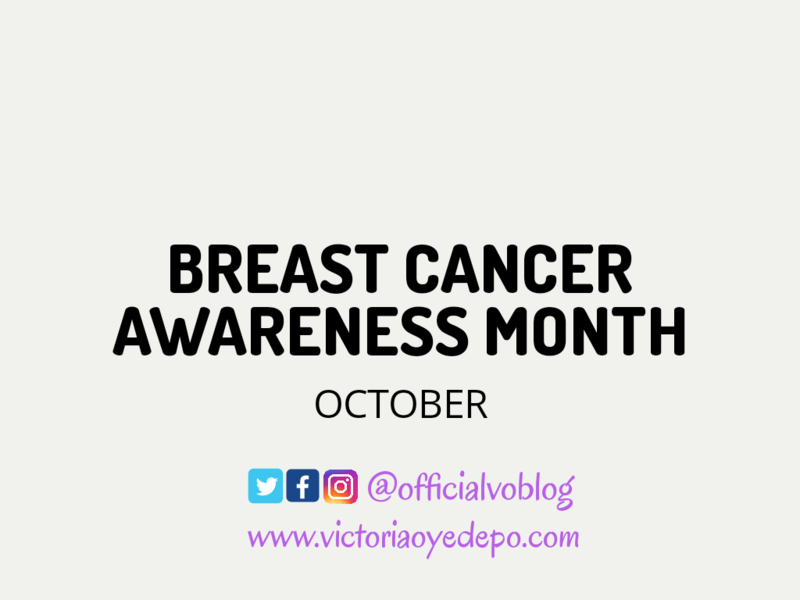 Studies show that 1 in 8 women have cancer and 1 in 25 women will die from breast cancer in Nigeria. The beautiful thing is, despite all these, there are survival tales and with early detection and adequate education, we can fight cancer together. I am looking to partner with hospitals or clinics or foundations to conduct free breast exams. Please do let me know if you have an idea about any. 2. Have a clinical breast exam with a physician. 8. New pain in one spot that does not go away.